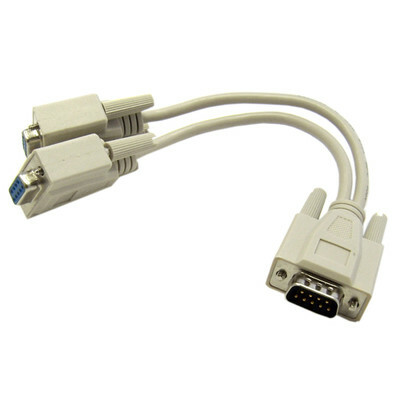 DB9 Male / DB9 Female x 2 9C, DB9 Serial Cable. 28 AWG, 9 conductor, Aluminum Mylar Foil Shielded with Drain Wire, Beige Outer PVC Jacket. Molded Connectors. Gold plated contacts. This cable is used to split one DB9 male into two DB9 females.